Compared to a decade ago, new cars these days need about as much maintenance as kitchen appliance. Whether you drive a Mitsubishi car or a Volkswagen car, you’ll find that more contemporary models don’t require frequent trips to the garage or have an endless list of maintenance tweaks to be done at the weekend. That said, many people haven’t adjusted their way of thinking to new car maintenance and service schedules. Some laissez-faire drivers run the car until a warning light comes on, while traditional folk worryingly check their oil every 2000 miles. Although maintenance schedules have become fewer and further between, it’s still important to check your manual or maintenance log book to ensure that you are aware of the car’s needs. As a gentle reminder, here are some common requirements that will help you avoid any disastrous maintenance mistakes. Thankfully, paranoid oil changes every 2000 miles are a think of the past as advances in engine design and lubricants mean that you can change the oil when the schedule calls for it, not when you have a niggling feeling. These days, most cars call for an oil change every 5000 to 15,000 miles but to make certain, follow your manual. Think about how it might feel to run with a sponge in your mouth and you’ll know how your car feels with a dirty air filter. An extreme detriment to fuel economy, the grit and grime in your air filter accumulates just as easily from grimy city streets as it does from a long dirt road. Wherever you live, ensure you clean the air filter out as often as possible. Your owner’s manual will have a guide to how often both your front and back tires will need inflating but it is important to bare a few things in mind regardless: Your tires leak air naturally so why not check them 3 or 4 times a year just in case? Also, remember that under inflated tires will devour fuel and over inflated tires will wear out sooner so keeping a keen eye on them will definitely benefit the bank balance. The higher the octane doesn’t necessarily mean the better. Consult your manual, use the suggested octane and leave it that, as the only people benefiting from a higher level will be the oil company themselves. For those of you who just potter around at the weekend, the lowest recommended option will suffice. Keep your windscreen wipers clean! 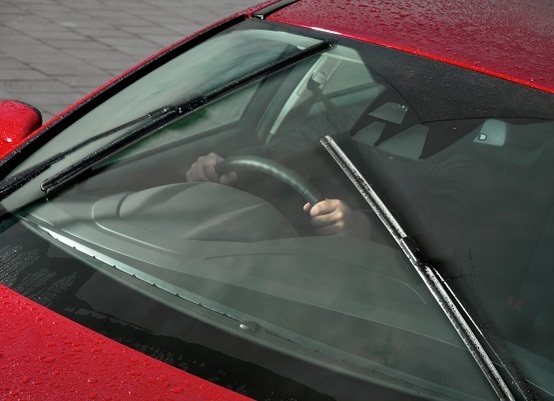 It’s no use to anyone if you’re driving around with a dirty windscreen so ensure that you replace your windscreen wipers before they disintegrate right in front of your eyes. After being subjected to months of baking sun, autumn is most likely the best time to change them if you plan to do it on a yearly basis.